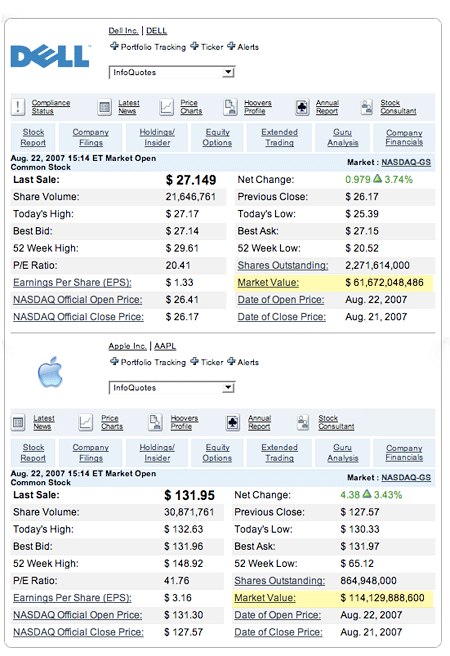 This trend has continued – according to TUAW, earlier today, Apple rose $6.05 (3.48%) in NASDAQ trading, closing at $180.00. Compared to Dell’s standing, Apple’s market value of $158.66 billion is now four times Dell’s $38.97 billion. WOW!